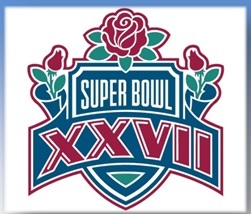 The Dallas Cowboys championship for Super Bowl XXVII. 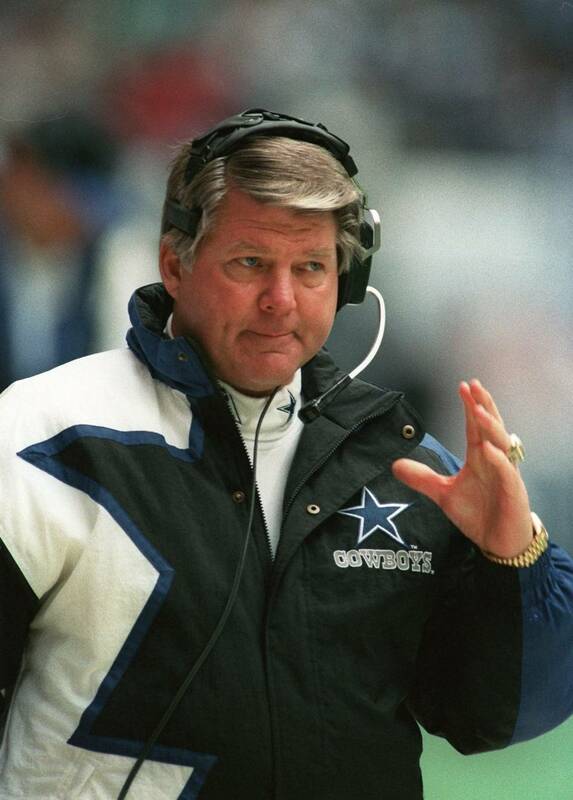 I wished Jimmy Johnson would have had this on when I met him and the entire Cowboy coaching staff at Houlihan’s in Columbus, Ohio on St Patrick’s Day 1993. They had just visited Ohio State University and tested out players before the draft. Standing room only in this bar on St Patty’s and havin’ a drink with an off duty police officer at the door and in they came right between us…”That S.O.B. looks just like Jimmy Johnson?” is all I could blurt out…I was drinking gang…articulation isn’t a strong suit at a time like that. Never mind being a fan of the Miami Hurricanes, etc. Talking to him was cool…slapped me on the back and said sorry about Buffalo…lol. This was 1 1/2 months after the 52-17 Super Bowl win Dallas had over the Bills. Anyway, think about the ridiculous strength of this 1992 Cowboy team. Everyone has lionized Emmitt, Irvin, Troy, and lauded the trade for Charles Haley. Bill Bates was injured, Darren Woodson (Cowboys all-time leading tackler) didn’t even start. Jimmy Smith (wideout for Jacksonville Jaguars of nearly 1000 catches) was also on this team and injured. How many Super Bowls would Dallas have won had Jimmy stayed in Dallas? I say they would have become the first 5 or 6 time winner of Super Bowls in a decade. So what was the move that put the Cowboys over the top? The Charles Haley trade? No it was the trade for S Thomas Everett who had been a holdout for the Pittsburgh Steelers. You say, huh? Thomas Everett? Think of it like this…going into the 1992 season the Cowboys Achilles’ heel was their secondary. Their draft tells you that picking up SS Darren Woodson, CB Kevin Smith, and CB Clayton Holmes in the first few rounds. 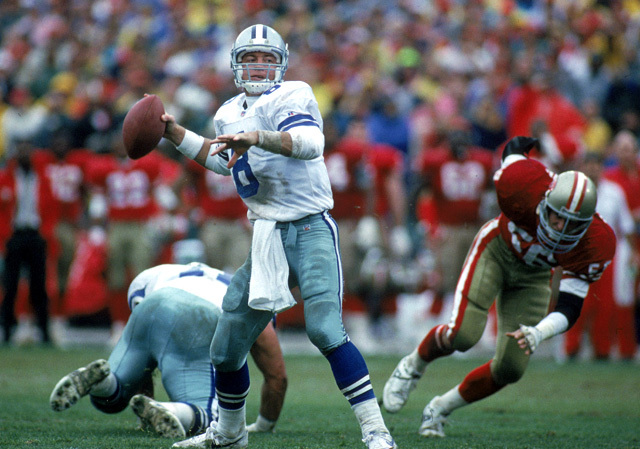 In 1991, Dallas had lost to 4 run and shoot teams including a 38-6 drubbing to Detroit in the divisional round of the playoffs. 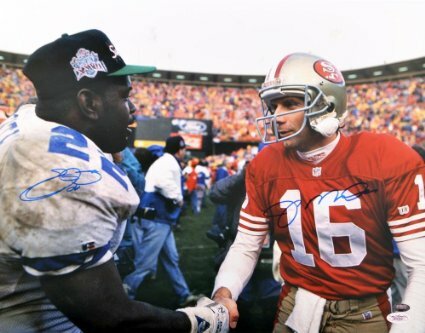 The biggest blowout loss of any NFC team in the 1990’s. They had some coverage issues but Everett solidified the secondary, put players in good spots and made several plays that defined the Super Bowl XXVII rout of my Buffalo Bills. He helped turn the secondary into a team strength. In the 2nd quarter when Buffalo was threatening to take the lead, Dallas had a goal line stand where Buffalo went for it on 4th down from the 1. Who intercepted the ball in the endzone to totally deflate the Bills? Thomas Everett. After halftime down 28-10 and fired up to get back into the game in the 3rd quarter, who read a short route and jumped it returning an interception to Buffalo’s 10 to end the competitive phase of the game? Yup Thomas Everett! Funny he only played for Dallas in 1992 and 1993 and was a Pro Bowler who didn’t get his due for what he meant to that defense. Without Haley in 1991, they made it to the Divisional round of the playoffs yet were destroyed by Detroit’s passing game. Everett made sure that no one would do that in 1992. 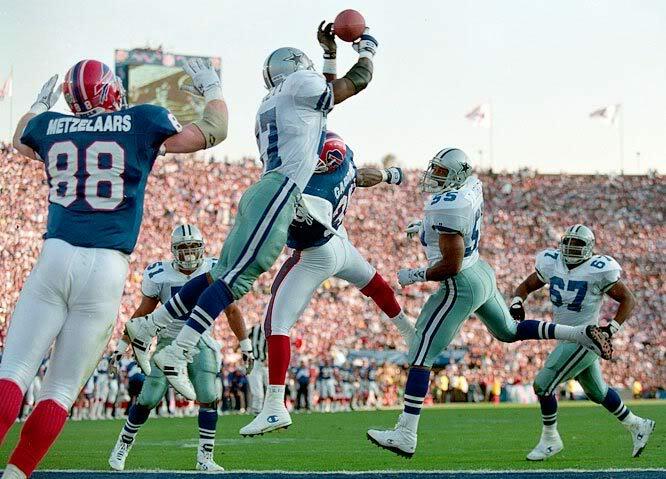 This was the best of the Cowboys teams of the 90’s. Everett got his due in ’93 with a Pro Bowl berth. 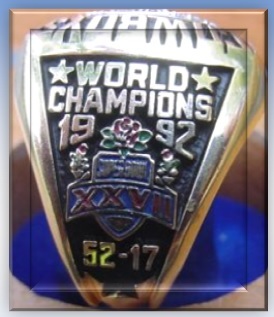 One of the reason’s they didn’t three-peat in ’94 I believe started with Jimmy Johnson’s (the [[_]]) departure and the other was losing Thomas Everett to Tampa.